This beautiful brie baker cooks evenly and cleans easily. Microwave, oven, and dishwasher safe. 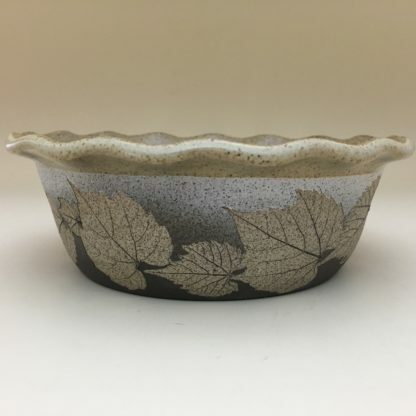 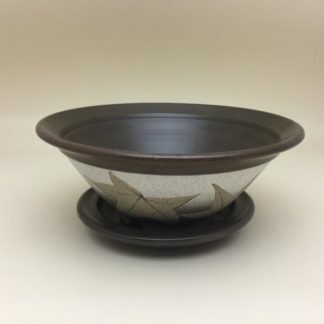 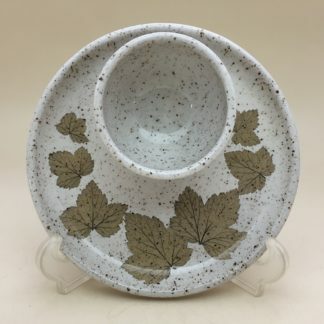 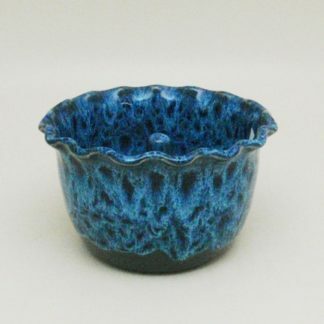 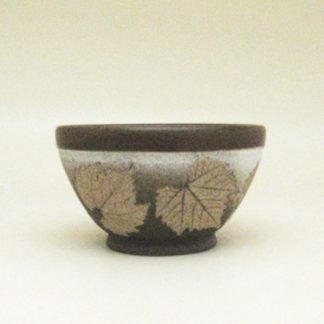 Measures approximately 5″ x 2″ with tan wild grape leaves on a brown and white background, finished with a tan matte glaze. 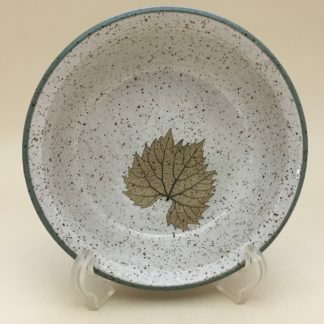 Leaf placement and design may vary slightly.